The late and welcome summer hopefully is an indication that we will have a colourful autumn. We are very fortunate to live in an area that has some of the most vivid autumn colours in the trees. The establishment of the Enchanted Forest as a popular annual autumn event is a welcome addition to extending the tourist season. This summer season has been disappointing for the hospitality industry and other businesses directly reliant on tourism throughout the northern half of Scotland and they deserve a late season boost. Over the next few years the issue that is likely to be high on the agenda for Birnam and Dunkeld is the future development of the roads. It is important that all residents and businesses make their views known at each stage of these developments. The most immediate issue are the proposals for traffic calming measures in Little Dunkeld between the Telford Bridge and the A9 junction. Although there is a 20 mph speed limit on much of this stretch of the road there is considerable evidence that a substantial proportion of motorists are not adhering to this. The proposals from the Council's roads' engineers are for a ramp to be built for the zebra crossing. Many children use this crossing on their way to school and it is essential for their safety that drivers reduce their speed at this point. Such a ramped crossing has proved very effective elsewhere and, provided that there is an adequate signage warning drivers, should have a valuable slowing effect. Other proposals are for building out of the pavement at various points in the road, moving the position of bus stops and raising of the curb at the bus stop to make it easier for older passengers to get on and off the buses. It is also proposed to rationalise the roads signs through Dunkeld and Birnam and make the speed signs clearer. These proposals were discussed at the last meeting of the community council. Unfortunately there were only three members of the public present to make their views known. I have received some representations in favour of the proposals and some opposed. I am sure that everyone is keen to make the roads as safe as possible for all users. I would very much appreciate the views of anyone in the community, either in support of the measures or against them, before final decisions are made on how extensive road calming measures should be. Experience of speed surveys in various communities unfortunately shows that it is local drivers who are the most likely to break speed limits so it falls to all of us to ensure that we are driving at an appropriate speed. Transport Scotland has now engaged consultants to start the engineering planning for the dualling of the A9 between Birnam and the Jubilee Bridge. Transport Scotland plan to have a number of community consultation events as the plans develop. They are indicating that work on this section may not start before 2021. If this is the case there is a danger that with such a long lead time we will begin to suffer consultation fatigue. It is, however, essential that we all make our views known to Transport Scotland so that both residents and businesses do not suffer adversely from this development. Transport Scotland's website has periodic updates on the progress of the upgrading throughout the length of the A9 so we can keep abreast of the proposals and forthcoming events. An invitation is warmly extended to join a course exploring some aspects of prayer, such as: Praying with Scripture, both reflectively and imaginatively; Silent awareness; Reflection on the connections between prayer and daily living; considering images of God in Scripture and in our own experience. The short course aims to encourage us to open ourselves to a deeper relationship with God through the experience of exploring different ways of praying. Dates: Monday 15th October, Wednesday 31st October and Wednesday 7th November. Time 10.15 – 12.15pm Venue St Mary's Episcopal Church, Birnam. The course leaders will be Cath McManus and Carmel Byrne. Both belong to the Epiphany Group, an ecumenical body whose members, lay and ordained, are involved in Ignatian Spirituality. Do try to attend even if you cannot get to all the meetings. The course is free but you may wish to donate something towards the running expenses. Back when the dinosaurs stalked the earth and I was studying economics I was taught that money was ‘fungible’ which seemed to mean it was pretty hard to trace what went where. I use this principle to explain why 5 items in my shopping basket each costing approx £1.50 cost £63 at the checkout. Similarly I often ponder that time seems fungible. It’s a strange fact that Barrack Obama; Christine Laguarde (my current pin-up) and Ban Ki-moon have the same amount of hours in the day as I do. Yet Christine still manages to swim every day and run the IMF – how does that work? (Do you think she has an ironing pile?) Nevertheless what one can squash in and out of 24 hours is weird – on the same day someone makes it to the top of Mount Everest I may have barely made it out of bed. 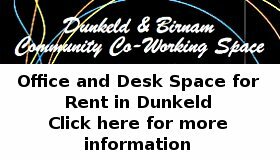 My point is that we have 2 new charity shops, the ‘3 churches Charity Shop’ and the ‘Corbenic Shop and café’ in Dunkeld both of which need volunteers. So please see if you can help – however my advice is not to try counting up to 24 in the process as this doesn’t fit with either chaos theory, the space time continuum or Mrs Robertson’s theories on fungibility. But it’s these things that make a community and life worth living. Congratulations to both teams who are working so hard to make these shops a success. Whilst these are new ventures it’s great to see a team gearing up to support Birnam Arts in keeping its facilities up to date. This is a vision that people in Dunkeld and Birnam have held for over a hundred years – since someone or some group of people decided we should have a place in the village where people could learn to read. Really the BBC doesn’t need to go anywhere else – there’s enough material in Dunkeld and Birnam to keep the programme schedules full for a year. Which reminds me I must work out what to wear? What to wear, indeed.